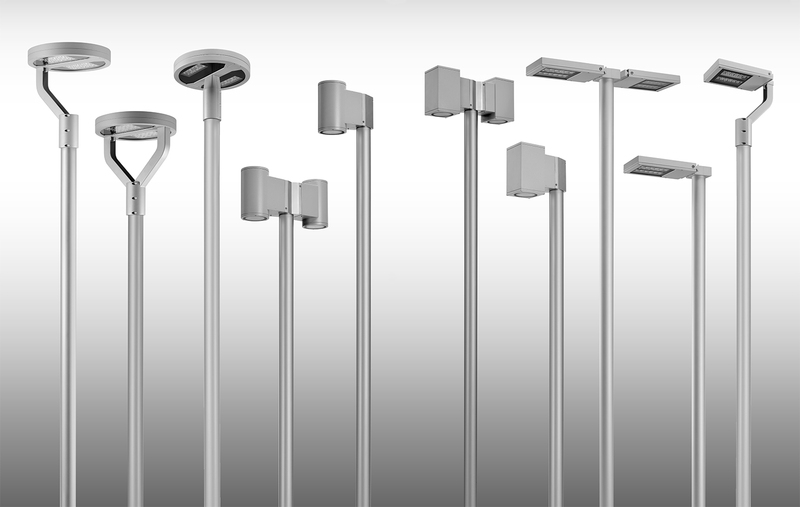 Cylindrical pole made in steel S235JR (UNI EN 10219) hot galvanized (UNI EN 1461), diameter 76 mm, thickness 4 mm. Phospho-chromatised and polyester powder coated. 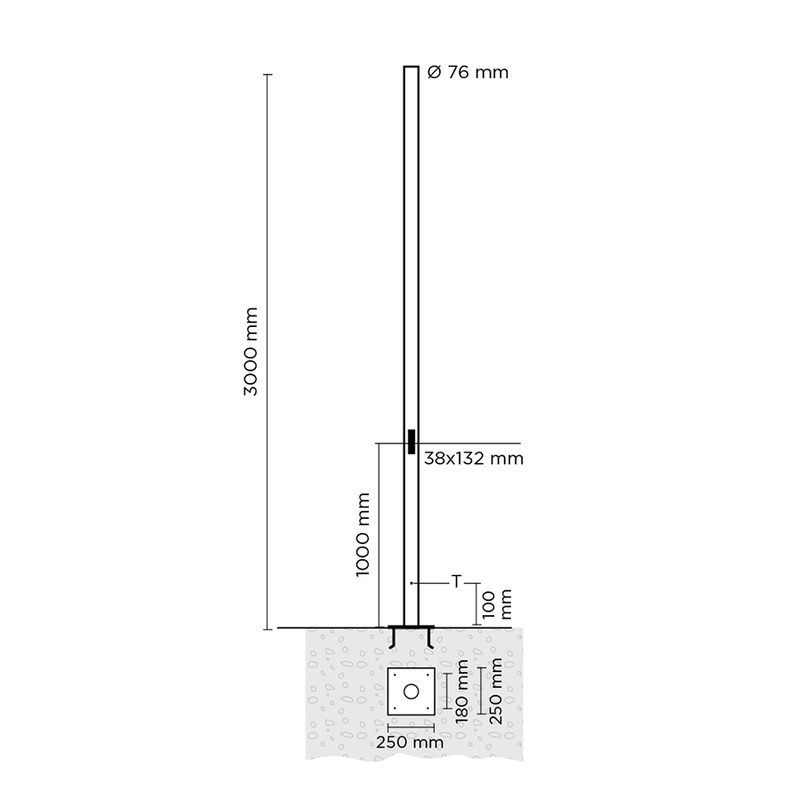 Total height 3.000 mm, with base plate dim. 250×250 mm, thickness 10 mm. Includes IP54 cover plate 132×38 mm and terminal block in double insulation. 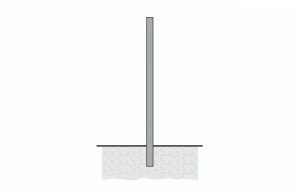 Cylindrical pole made in steel S235JR (UNI EN 10219) hot galvanized (UNI EN 1461), diameter 76 mm, thickness 4 mm. Phospho-chromatised and polyester powder coated. Total height 3.000 mm, with base plate dim. 250x250 mm, thickness 10 mm. 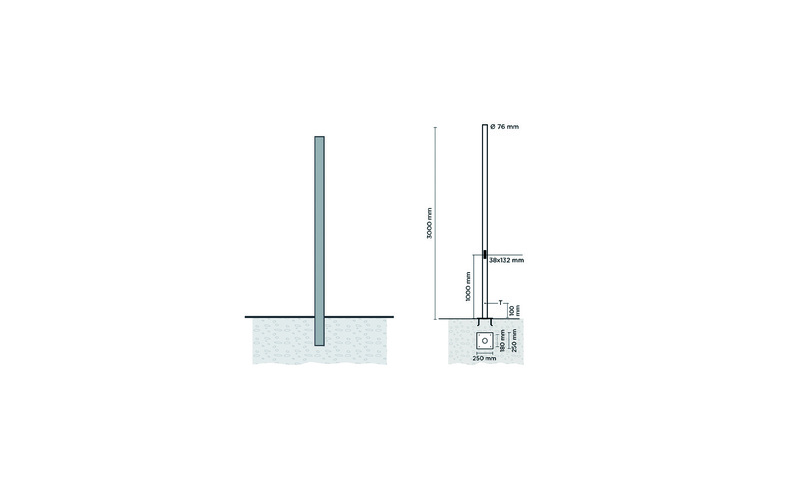 Includes IP54 cover plate 132x38 mm and terminal block in double insulation.